No matter a person’s size, everyone deserves to enjoy their vacation. 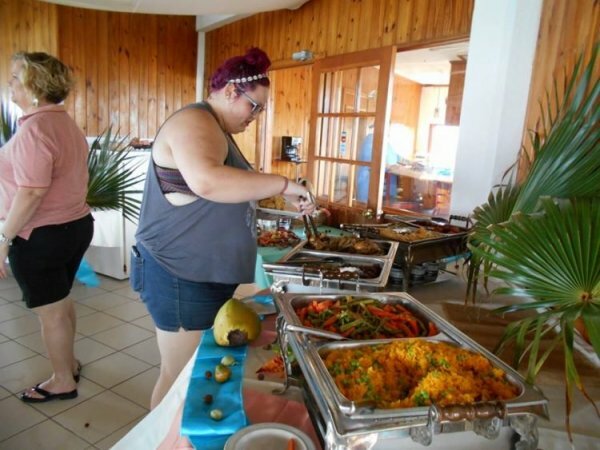 It is for this reason that the first plus-sized resort opened its gates two years ago on the island of Eleuthera, in the Caribbean. The Resort is now a popular destination for tourists who seek to enjoy judgement-free holidays. As Oddity Central reports, the entire complex was build from the ground up with overweight/obese people in mind. Not only are the doorways extra wide, the beds are reinforced with two boards of steel to support hundreds of pounds. Additionally, the chairs and the lounges are one meter wide and made of a particularly strong wood. Even the toilets were custom-made to be larger and more robust! Entrepreneur James King came up with the idea for The Resort 14 years ago after witnessing an embarrassing incident. Reportedly, an overweight person broke a piece of furniture on accident. As if the experience wasn’t embarrassing enough, she was forced to pay $150 for it. “I was MD of a hotel in Grenada and saw a guest go through a beach chair,” King recently told The Independent. “As per hotel policy, she was charged $150 for destruction of property. Disgusted by the hotel’s response, King decided to create “a place where you can come and have a good holiday without any judgement whatsoever.” At The Resort, guests never need to fear that someone will laugh at them if they undress and swim in the pool. In fact, all of the staff understands the insecurities that can accompany being overweight and have been trained to make guests as comfortable as possible. According to King, approximately 60 percent of all clients are American and 10 percent are from the New York area. The rest fly in from European countries, like the UK and Spain. If you would like to visit, be sure to rally a group as The Resort does not accept individual guests. “For the first couple of months, we did single bookings, but the issue was a lot of people just started to relax and feel comfortable and then new people turned up,” said King. 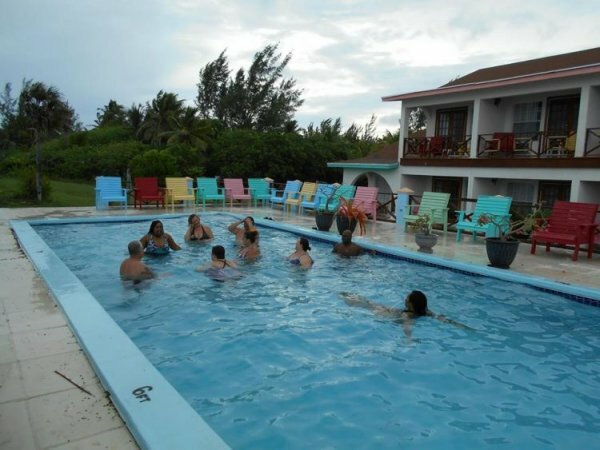 The aim is to preserve the “friendly and comfortable” atmosphere that The Resort has expertly cultivated. Due to the inclusion of “Western” foods which are typically high-fat, high-sugar and devoid of nutrients, populations around the globe are increasing in weight and size. This poses problems to health, the economy and people’s self-esteem, as weight-related diseases of affluence don’t just cause economies billions of dollars in healthcare costs, they result in premature deaths for millions of people every year. Unfortunately, not everyone can afford organic, high-quality fruits, vegetables, nuts, seeds, and leafy greens, as the US government — among others — subsidizes crops, such as soy, corn and wheat, which are used in processed foods and contribute to weight gain. It is because of economic disparity that obesity is on the rise — and until the system changes, it is likely to increase. If nothing is done, get-aways such as The Resort (the first plus-sized holiday getaway in the world) will likely become more common. The author mentions this fact not to shame individuals who are overweight, but to draw attention to the fact that “the system” is failing the population at large — at least, in first-world nations such as the UK and the US.
? 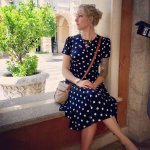 Want To Live In Italy? This City Will Pay You To Move There Scientists Inject Human Cells Into Pig Embryo To Create First Human-Pig Hybrid ?